Jenessa is the oldest of seven kids and grew up in Southern California. 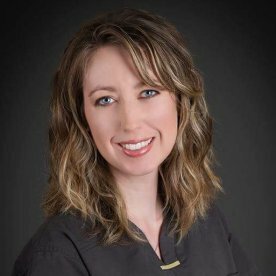 She received her BA from Thomas Aquinas College in CA and went on to receive her Bachelor of Science in Dental Hygiene from Weber State University in Utah. She came to visit a college friend who’d moved to Lander and fell in love with the Wind River Mountains; it didn’t take much persuasion for her to relocate to Wyoming! Jenessa enjoys spending time with her family in CA, traveling, playing with her cat, nature photography, researching local history, cooking and baking (and sharing the results with friends), the performing arts, and volunteering at the animal shelter.